Morphology of the normal aortic valve. AMBL= anterior mitral valve leaflet; Ao= aorta; AV= aortic valve; LV= left main; N= noncoronary cusp; LA= left atrium; R= right; RC= right coronary artery. Arrows point to line of closure. 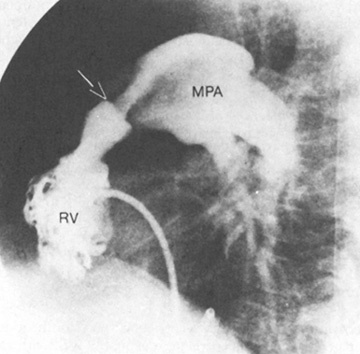 Portion of aortic cusp above the line of closure is called the lunula. From BF Waller: Morphologic aspects of valvular heart disease: Part I. Curr Prob Cardiol IX:13, 1985.